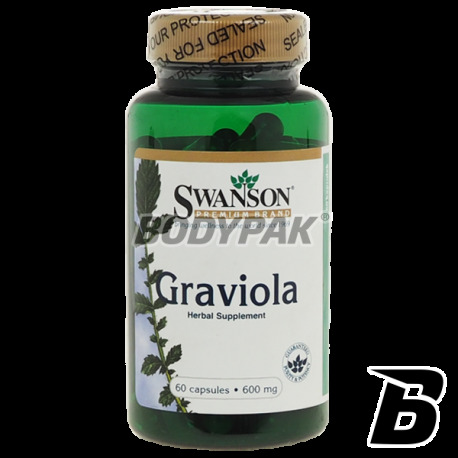 Health & BeautySwanson Graviola 600mg - 60 kaps. Swanson Graviola is a unique plant, whose Latin name is Annona muricata. Each capsule contains 600mg gravioli that supports normal growth and functioning of cells, as well as the proper functioning of the immune system. 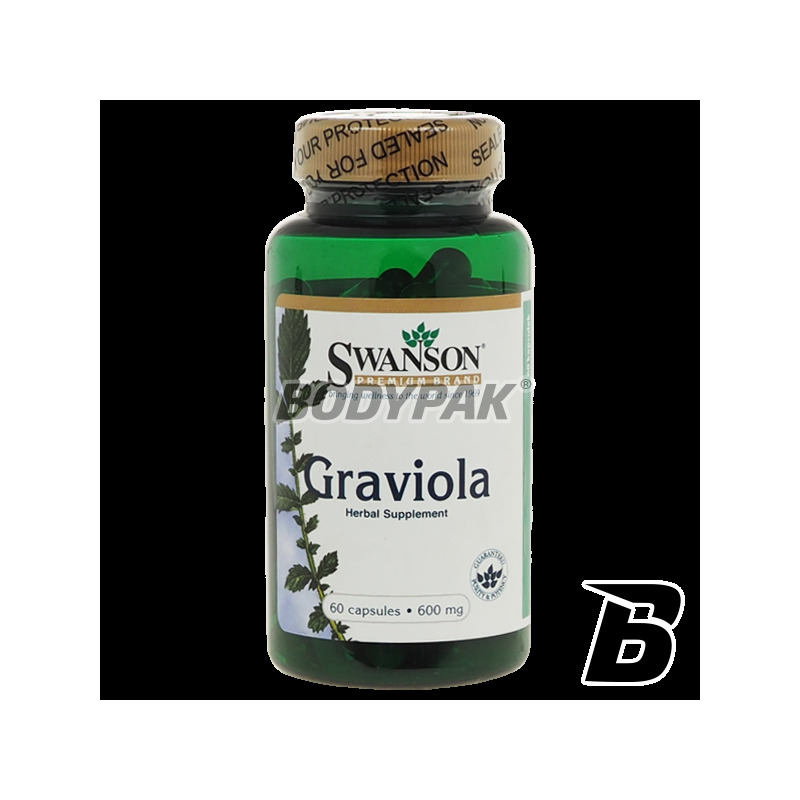 Swanson herbal supplement Graviola protects the body against bacteria, viruses and prevent infection. Thanks to the unique chemicals called acetogeninami annonaceowymi, graviola is used in cancer prevention. Graviola (Annona muricata) is a species of tree native to Central America. Graviola is known in South American medicine. All of its parts (leaves, roots, bark, fruits) have a health-promoting effect. Due to the fact that graviola rich in phytochemicals bioactive substances as well as vitamins and minerals, it has a positive effect on the whole organism body - the natural cellular system supports and strengthens the immune system. So let's choose a cheap supplement Swanson Graviola. Składniki: graviola, otoczka kapsułki: żelatyna, substancja przeciwzbrylająca: dwutlenek krzemu.